After a salvage mission tuned into a massacre at the hands of Xenomorphs residing on LV-223, Weyland-Yutani spacecraft Geryon's former chief of security Galgo Helder deemed it wise to leave his captain Angela Foster and everyone else behind except for his old friends Piper and Higgins. Yet, chaos followed him anyways in form of an evolving Elden and his Xenomorph friends hell-bent on killing everyone else but then a hunting party of Predators attacked them on-board Geryon and Galgo abandoned it by escaping in The Perces. However, he did not know that a lone Predator still managed to sneak into their patrol ship before it took off. Sensing its presence shortly afterwards, Galgo wakes up Piper and Higgins from their cryo-sleep to hunt it down after briefing them about the horrific events that took place when they weren't awake. Keeping ship's safety in mind, they held back from using any firearms and plan to flank it out in open. Although not willing to fire up, Galgo decides to keep his scavenged Alien weapon by his side at all times as he wishes to use it for a huge payday from their company! Piper separates himself from Galgo and Higgins to main corridor in search for the Yautja, believing he can take it out by himself and eventually encounters it on a fight. Even though it was cloaked, he manages to hit it and then got blown to bits by its Plasmacaster. Realizing what they are dealing with, Galgo uses Higgins as bait and closed a hatch between them. He then opened the airlock seeing it appear on his tracker to flush out the beast into space. The old hag suffocated into the merciless vacuum of space and the stowaway hunter then revealed his presence by finally confronting Galgo. 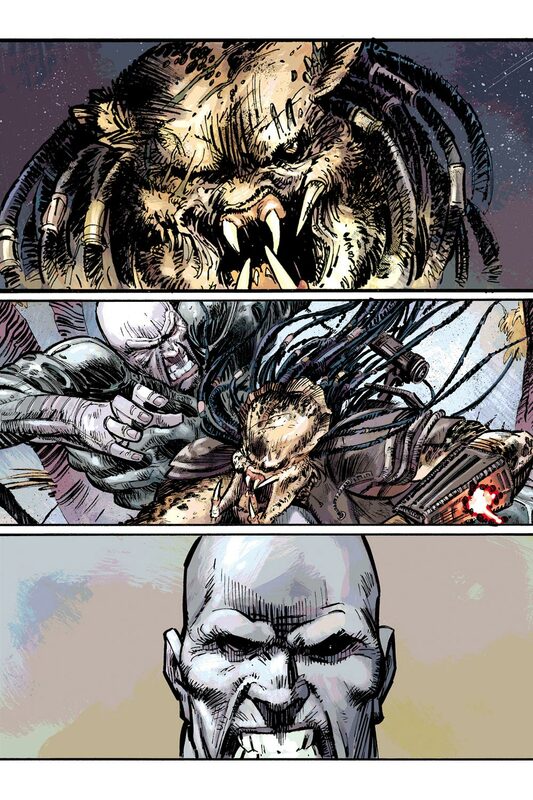 After a futile and short fight, the Predator captured him with wire net when he thought he was done for but instead of killing him it freed him and showed him a hologram of an Engineer that he seeks. With his hands completely tied against his will, Galgo struck a deal with his captor to take him to LV-223 in exchange for his own freedom. It appears that, this Yautja is a trophy collector, who has been hunting worthy opponents around the galaxy for a century now and he wants an Engineer head on his plate this time. Upon landing on the barren moon of LV-223, Galgo bids the Predator farewell but it wanted him to follow up. A gauntlet linking them with a laser-like wire is placed on his hand and is forcibly taken outside for sightseeing. The duo came across a few huge piles of dead Xenomorphs before meeting Angela, Chris and Jill still wandering around. Stuck between all these overwhelming odds, Galgo reflects on his unknown future where he is either destined to be torn apart by Xenomorphs, brutally killed by Engineer, taken down by his former peers for ditching them or worse, stuck there for rest of his life? For more information on Predator – Fire and Stone tie-in limited series, you can check out the link below. 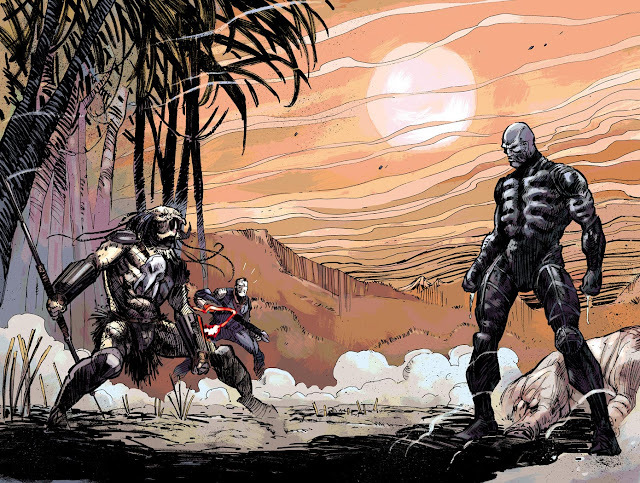 Here is your links to buy "Predator – Fire and Stone" from Dark Horse Comics in issues on Amazon. 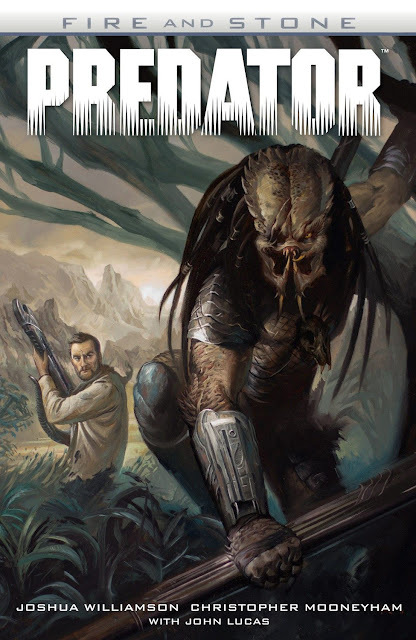 Here is your links to buy "Predator – Fire and Stone" from Dark Horse Comics on Amazon. Set in Aliens/Predators/Prometheus shared universe from Dark Horse Comics, "Predator – Fire and Stone" is a part of a major crossover event "Fireand Stone". 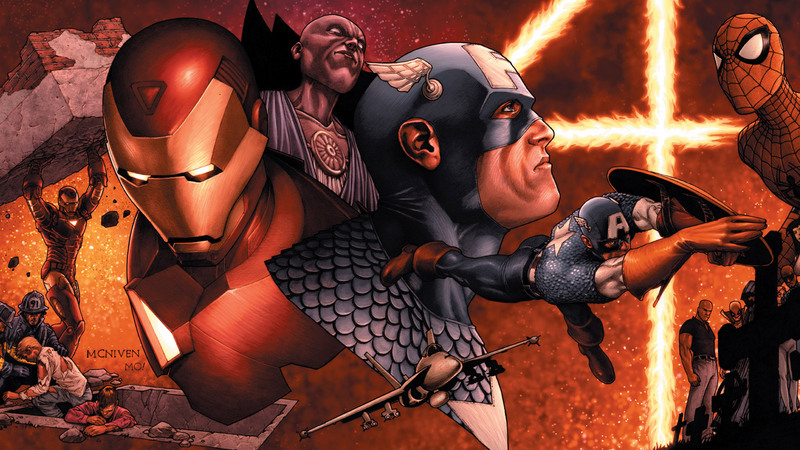 This storyline was developed by comic-book writer Joshua Williamson (Birthright, Nailbiter) and artist Chris Mooneyham (Five Ghosts, Predator Vs. Judge Dredd Vs. Aliens – Splice and Dice), while Lucas Graciano was serving as regular cover artist and Alex Maleev (Halo – Uprising, Hellboy & the B.P.R.D.) provided a variant cover for first issue. 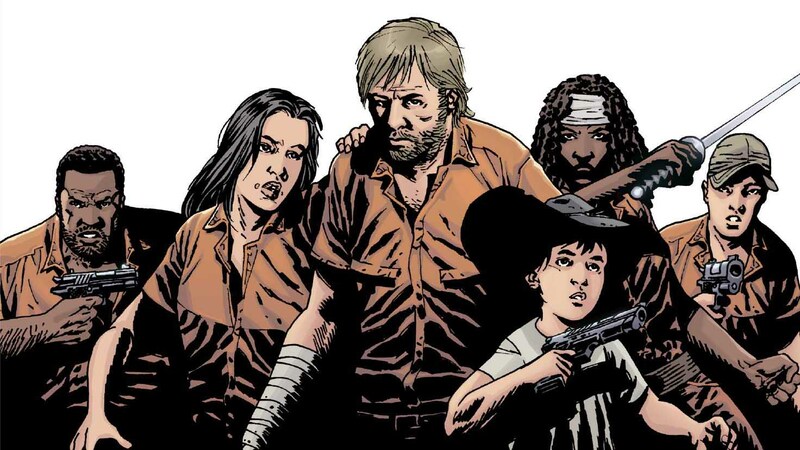 Mooneyham brings his unique art style on table to give the book a different vibe than its other related series. Purpose for this four-issue limited series was actually to tie-in with three other inter-connected stories; Aliens – Fire and Stone, Aliens Vs. Predator – Fire and Stone and Prometheus – Fire and Stone. Even though, it was meant to be a bridge between its companion stories, the plot also distantly connects with live-action Alien (1979) and Prometheus (2012) movies. A connection between Aliens and Engineer is already explored in live-action films and now, another long-running feud between Engineers and Yautja is revealed. More of these ties with extraterrestrial species and their age-old clashes will be seen in upcoming "Life and Death" crossover.